Steven (Chicagoland, United States) on 18 March 2016 in Landscape & Rural and Portfolio. Photo captured March 19, 2012. Lovely compo and star effect on the sun. A truly classic image - a perfection ! Nice job framing the setting sun between the palm trees. Hope you enjoyed your visit to the Sunshine State. 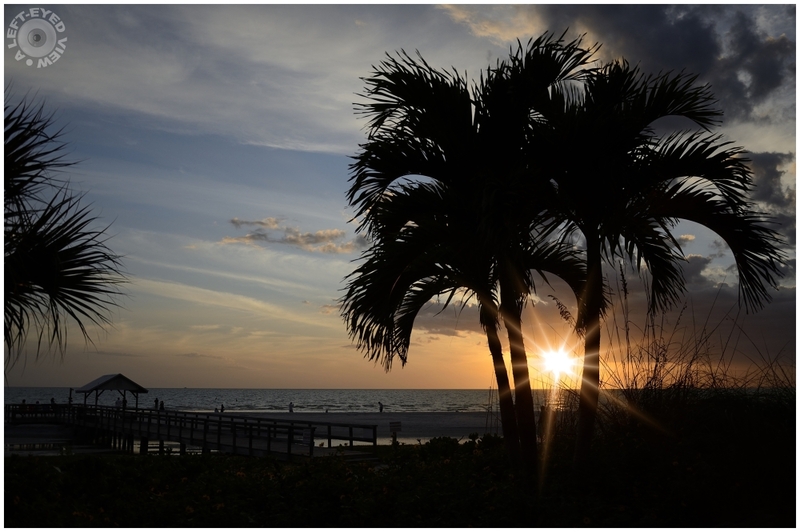 @James: Fort Myers Beach has always been a vacation destination for decades. The powdered sugar sand is amazing. A beautiful sunset shot. I love the precise placement of the sun between the trees. Amazing how just with an f 4.0 you achieved such a wonderful sunburst. Magnificent. Beautifully composed with the sun between the palm trees. A fabulous image! Sweet star pattern. I might like to see that grass hut slightly higher against the horizon. Ce soleil qui filtre quelle vue et cpatage quel arbre un rêve magique. A very pretty picture. Nicely done. This is a magical image! excellent image that illustrates that special 'florida feeling' ! A very beautiful sunset "made in Florida! " Excellent holidays atmosphere! Breathtaking. With snow coming our way it gives me hope for spring. I am looking through your photos and I have to say they are stunning. Un instant merveilleux et superbement mis en valeur. A wonderful moment and beautifully highlighted.